Vibrant images and variable graphics from an affordable overprinter for bag and box printing. Vibrant images and variable graphics from an affordable box and bag printer. No other box and bag printer does quite as much. 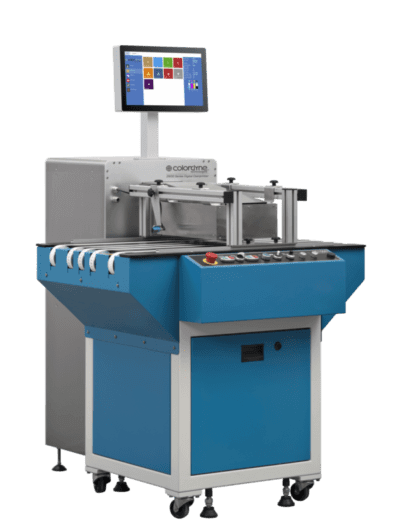 The Colordyne 2600 Series Overprinter is a digital print module (DPM) that easily mounts to mail tables and other conveyor systems. Print with ease on both flat objects like boxes or bags, and even thick objects like blister packs, bubble envelopes and folded boxes. Add brilliant four color graphics and variable data to your packaging, shipping, and mailing materials all in one pass, at 30 or 60 feet per minute and up to 1600 x 1600 dpi resolution.